I just completed a larger welded sculpture commission. 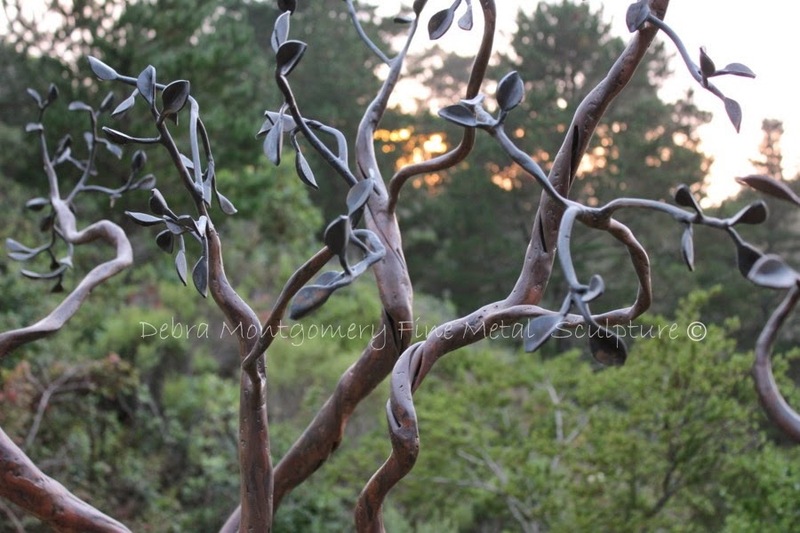 It is a steel manzanita tree sculpture that will be used primarily as a wedding chuppa and then generally as a nice decorative piece on this property. It is my first job/commission in the Carmel, CA., area - we have been waiting a long time to get some work in this area. The location is at Point Lobos Ridge, a nice private rental home with fantastic views, used for weddings and other private events. The owner, Lou Sena, was super nice and was very happy with the artwork. Hope it brings both of us new and appreciative business! I hope this next year will be filled with more of this type of art / sculptural commissions! Thats looks amazing. I would have loved to get married in a area like that. The metal artwork looks amazing and very rustic. Yup, it's fantastic stuff. It's almost hard to tell the difference between that and real trees. It's not the material used, but the feel and shape of those sculptures that make the whole thing tree-like. Good job!